Are you looking for professional help for your kitchen cleaning? You have come to the right place. We are a cleaning service provide and we operate here in London. At our company we understand how difficult, annoying and exhausting cleaning a kitchen can be. And that it is the last thing you want to do in your little free time. So call our company now and hire our amazing cleaners to do the job for you. Our cleaners will come to your home, bringing their own cleaning equipment and products and will get to work immediately. They will do a thorough cleaning of your entire kitchen. And since they are very detail-oriented, you can rest assure that not even the tiniest spot will be missed. 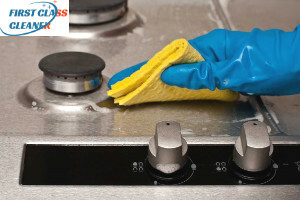 Our cleaners will clean your kitchen cabinets, all the appliances – big and small, wash the windows internally, vacuum and mop the floor, dust all pieces of furniture, they will wash the dishes, if needed, they will clean and sanitise your sink, to get rid of bacteria and microbes. Thanks to our amazingly skilled cleaners, you will be able to enjoy a cleaner and a healthier kitchen. The kitchen is a very important part of every household. That is why we are offering you this perfect and unequalled kitchen cleaning service, the best in London. We guarantee you, you will not find a better one. Give us a call now and get help from our amazing and unmatched cleaners. With our company you will get your kitchen cleaned perfectly for a very reasonable and budget friendly price. Call our assistants for an appointment now, let us help you with your kitchen cleaning.